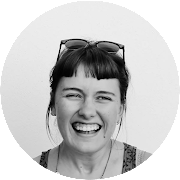 I changed the look of my blog here a wee bit, I've been reading this excelent book called "The Handmade Marketplace" by Kari Chapin and one of the main things she points out is your shop and brand image. I'm not sure I'm entirely convinced with what I've come up with and I think I'll probably change it again soon but I'm working on it! I also did some more portraits for brooches. 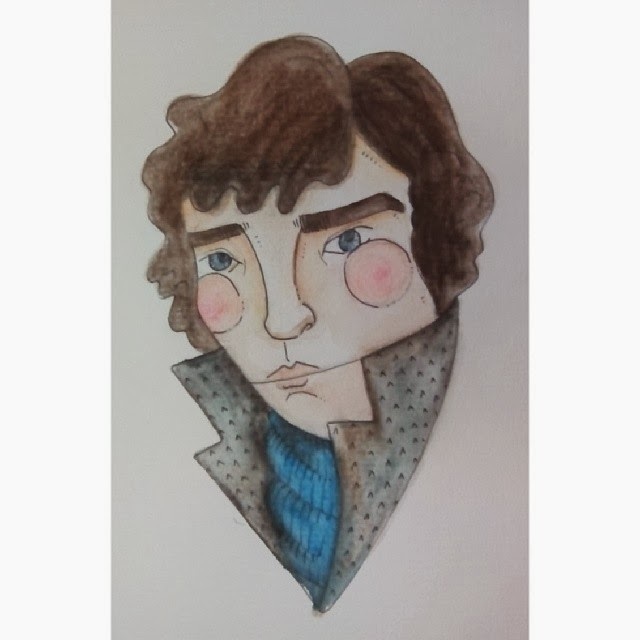 I drew sherlock about a month ago and had another go yesterday, I'm far more satisfied with yesterdays result. I'm not sure how I feel about drawing well known faces, I usally prefer making something up but my Sherlock has had some great response, so I must be doing something well. 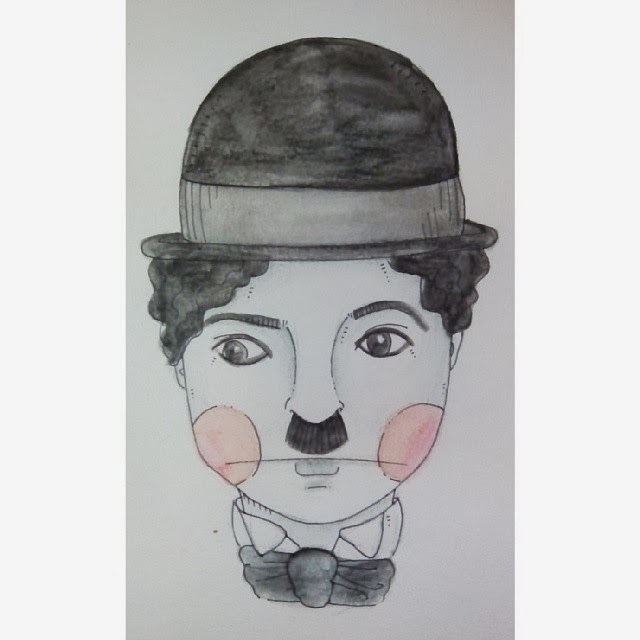 I have no idea why but Charlie Chaplin popped into my mind when I finished Sherlock. I liked the idea of keeping him black and white but of course, me being me, just had to give him rosey cheeks! 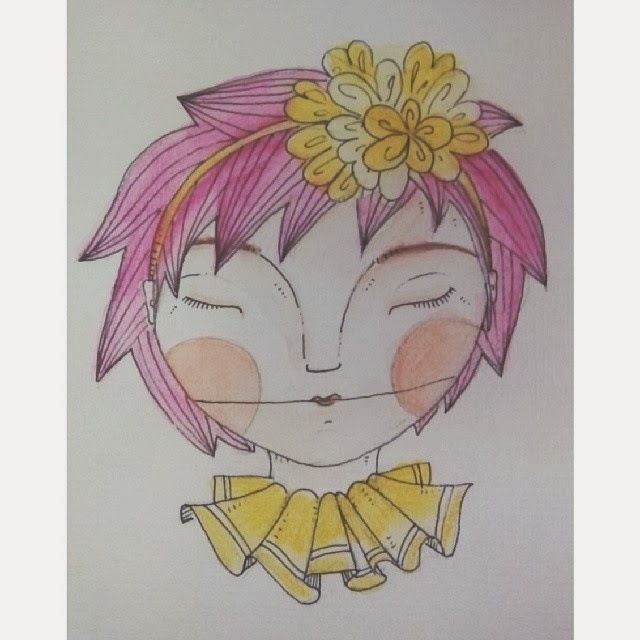 And then, all of a sudden, it was 2:30 in the morning and I felt like doing one of my circus girls. Anyway, all of these little guys will be scanned and touched up and then printed out for brooches. I don't have a printer so I have to keep asking my lovely friend if I can use hers, I think I might have to buy her dinner this time so she doesn't hate me! It's market day in a couple of weeks so I have my fingers crossed that i'll sell enough to be able to invest in my own printer. And folding table. And marquee. And more shrink plastic. Wow this is so good! Amazing job!